Rental and Usage Guidelines – We're Family Park, Inc. 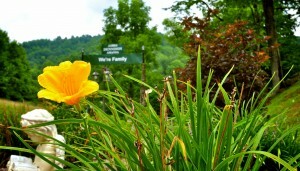 Welcome to We’re Family Park. The following rates and guidelines are provided to enhance the enjoyment and safety of your visit to the Park and to list items to help maintain the Park in a usable and pleasant condition for future guests. Book your event by contacting the Booking Agent listed in the contacts section below. It is advisable to book your event in advance to ensure Park availability. Rental fees and Deposits are due at the time of booking. Note: The Park is unavailable for rental during the months of January, February, and March. Remove all garbage and trash from the Park grounds and facilities. Clean all facilities utilized by your party. Remove all food and drink items from kitchen area, including the refrigerator and freezer. The supplies at the Park are provided for your convenience and should be replenished if used. The Park facilities should be ready for the next guests without further preparation. Conduct yourself in a manner that will honor God and Family. Illegal drugs and Alcohol are Prohibited on Park property. All buildings at the Park are to be kept smoke free. Do not permanently alter the appearance or character of the Park without prior approval from the We’re Family Park Board of Directors (WFP Board). If you notice any issue or cause any damage that requires attention or repair, please contact the Park Custodian listed below. The booking agent must confirm all exceptions to these guidelines in writing at the time of booking. Booking Agent: booking@werefamily.org, or Call Amber Dennison at (304) 853-0084.